Cruise & Travel Experts recently gathered in Jamaica for their second annual member retreat focused on increasing their owners’ knowledge and improving their travel businesses. The five-day retreat was held at a GOGO Worldwide Vacations Resort in Montego Bay, Jamaica. 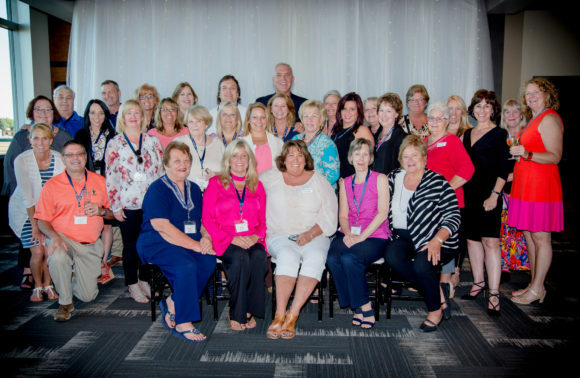 The conference offered its members a mix of training on Cruise & Travel Experts technology and programs, six local property visits, and several private dinners and networking events. The company provided updates on their platforms for booking air travel and hotels, along with enhancements to their internal reporting program and companywide phone system. The group also discussed potential marketing initiatives such as hosting group leader events and sending automated greetings and reminders to clients and shared successes among each other. During the retreat, three members received a 2016 top revenue producer award. The top sales winners were April Williams of Cruise & Travel Experts in St. James City, Florida, Stacy Coggan of Vacations by Stacy in Hainesport, New Jersey, and John Brinster of Cruise & Travel Experts in Pennington, New Jersey. The company also designated Gary Whitehurst of G Travel in Boynton Beach, Florida as the recipient of their esteemed Golden Globe Award, the highest award given for participation in company programs and trainings, local events, and FAM trips, and offering assistance to other members. The members toured a variety of beautiful properties in the Montego Bay area including Secrets St. James and Secrets Wild Orchid, Breathless Montego Bay Resort & Spa, Sunscape Cove and Sunscape Splash and Zoetry. The group also got to see Jamaica’s natural beauty and rugged interior and learn more about Jamaican life in a Chukka Jeep tour. The retreat concluded with a special farewell dinner featuring Jamaican style food and entertainment. To learn more about the Cruise & Travel Experts membership program, call 800-590-1578, or visit www.joinctegroup.com.